Google has reportedly fixed an issue with the ‘Check for Updates’ button on Google Pixel devices, along with any device that uses Google’s update system. The issue caused users who manually checked for updates in their Settings app (by tapping that ‘Check for Updates’ button) to not get updates. Typically, Google does a staged rollout of updates so if a bug surfaces, a small number of people are affected. 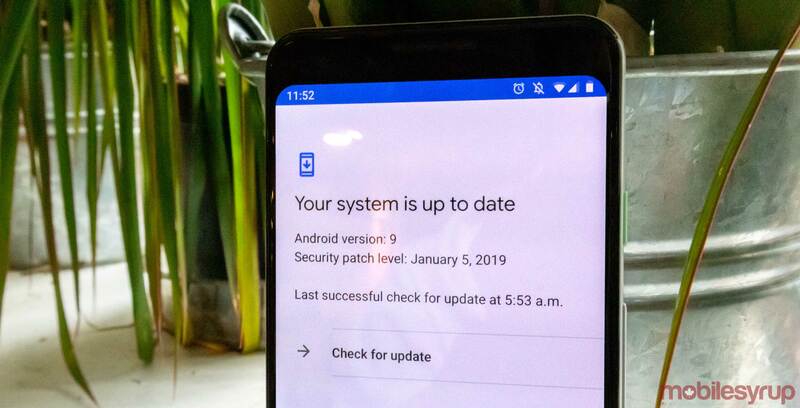 However, tapping the ‘Check for Updates’ button should bypass this staged roll-out as Google’s over-the-air (OTA) update system would flag that a user initiated the check. However, as far back as 2017, that functionality stopped working. Impatient users weren’t able to skip the queue by manually checking for updates. While most likely didn’t notice the bug, the enthusiast among us — including myself, since I often check for updates when writing about them — found themselves frustratingly locked out of updates. Despite this, users could still manually flash the OTA update files. However, tapping a button is a lot simpler. Google also technically fixed the issue in 2017, but promptly broke it again with a Play Service update. The search giant initially aimed to fix the button in 2018, and it looks like it may have done so, if only at the tail end of it. Reports indicate some users were able to access the January security update by tapping the Check for Updates button. Despite this, some users still aren’t able to manually access updates in this way. And yet more users report it was never an issue in the first place. It’s important to note that the carrier could affect the OTA update regardless if you manually check for it, which could explain why some users still experience issues.